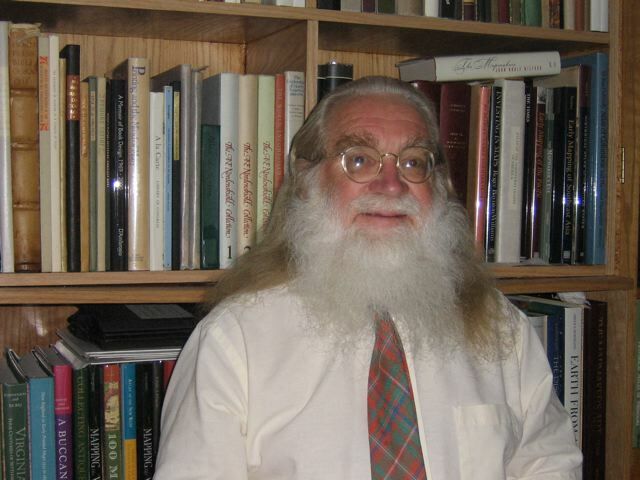 I am an Emeritus Professor of Mathematics, having taught at the University of Oregon from 1970 to 2000. My main fields of research are Banach algebras and *- algebras. I published a book summarizing my research fields (see under Mathematical Career). I was born in Boston, Massachusetts in 1935 and lived in a house within the Arnold Arboretum until I was almost 13. In 1948 my father retired and moved back to a house he owned in Webb City Missouri. My father and his father had built this house with their own hands in the late 19th Century. Webb City is an old lead and zinc mining district. Before my father became a professional botanical collector and taxonomist (and later moved to the Arnold Arboretum in 1921) he had collected minerals and Mississippian fossils from these mines and published about them. Thus I quickly learned a lot about mines and mining. This enabled me to secure summer jobs in 1955 and 1956 as a prospector and mining engineer in Utah (White Canyon Desert) and Colorado (Summitville in the San Juan Mountains). I graduated from Johns Hopkins University with a BA and MA in biochemistry in 1959. In 1966, I earned a Ph. D. from Harvard University in Mathematics. My thesis was in operator theory. While writing the thesis, I was able to dramatically shorten and simplify a formerly very complicated proof by using ideas from the theory of Banach algebras. Thus most of my professional publications since then have been about Banach algebras. See my two volume, 1617 page book, Banach Algebras and the General Theory of *-Algebras, published by Cambridge University Press, under Mathematics. Laramie Phillips and I married in 1961 and have three children (Jesse David 1968, Abraham Amos 1970, and Ruth Elizabeth 1972). Our family moved to Eugene, Oregon in 1970. In 1973 I was a founder of Mount Pisgah Arboretum near Eugene. I also serve on the Board of the Oregon Mozart Players as treasurer, and have been on the boards of the Friends of the University Library and Chamber Music@Beall. I am the proprietor of T. W. Palmer Books. Current interests: designing and building trails, clearing invasive plants, mountain climbing (all now largely in the past), woodworking, hiking, history (general and the scientific exploration of the American West), classical music, rare books, Chinese art and history.